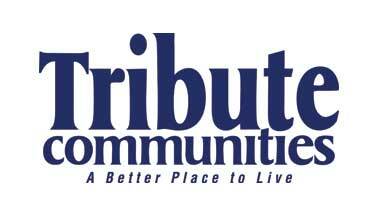 Tribute is coming back again to Oshawa in a great way. After successfully launching UC, UC Towns, and UC Towns 2, they’re returning with UC Tower! Nestled into the heart of Oshawa’s most vibrant region, UC Tower is a 25-storey building at the centre of the action. It’s intended to enable you to get pleasure from life in your own local community. Please register for more information! that Oshawa has been developing and it remains a marquee stop for many touring events. One of Canada’s newest universities, UOIT, is an amazing place to learn. Its main campus is just minutes from UC Towers and it offers a wide range of undergraduate and graduate programs in science, engineering, health and information technology, while the second campus in downtown Oshawa offers social science and teacher education programs. It’s on the cutting edge of education and was one of the first universities to implement the “Technology-Enriched Learning Environment” (TELE), whereby the students are encouraged to use the digital space in all aspects of their education. Sharing its beautiful campus with UOIT, Durham College has been steadily growing since being founded in 1967. With diverse course options and a desire to be an institution that has something for everyone, Durham College is known for its wide range of programs including business, information technology, media, art, design, general arts, science, skilled trades, justice, emergency services, health and engineering technology. With a state-of-the-art recreation centre, library, and tons of eating and studying options, this is a great campus to call home. Tribute Communities is an award-winning builder with over 35 years experience who has built more than 30,000 homes and condominiums across the GTA. Tribute consistently creates unique high-rise and lowrise communities that are always above industry standards for excellence and design. The company has an outstanding reputation that has been recognized with many top industry awards. Since 1993, RioCan has helped shape the places Canadians want to work and shop. Now, RioCan Living is shaping the places they want to live. They know that building a community takes more than bricks and mortar. It takes people. When they select a project location and building team, they’re thinking about the people who will one day call it home. Our goal is to enhance the culture of each neighbourhood they work in through listening, discovery and innovation. Every one of our developments is backed by our proven performance and commitment to providing impeccable management, convenient access to major commuter routes, world-class architecture, best-in-class amenities and expertly curated retail experiences. This is how they’re helping to shape the future. This is RioCan Living.